It is very important that temperature, time and pressure are very carefully synchronized. The following diagram shows an example of the timely setting of temperature and jaw movement with the aid of the ROPEX® Resistron® (RES) Controller. High performance and productivity with perfection require close coordination between the Heatseal impulse and the jaw action. The timing chart below illustrates the relationships of (A) Impulse Start (B) Heatseal Band Temperature, (C) Heatseal Jaw action and (D) Power Output. Notice that it is possible to energize the Heatseal Band prior to jaw closing because the temperature controller eliminates the risk of overheating. A. The pre-set temperature should always be attained before the sealing jaws are completely closed. This allows the sealing element to expand without restraint and avoids over-stressing of the ends of the Heatseal Band (PHASE 2). B. The system should be designed to drive the Heatseal Band to the pre-set temperature in minimum time. However, the maximum rate of temperature rise should not exceed 1°C/mSec. The total system, principally the secondary voltage, must be optimized to achieve the best result. Application Engineers at TOSS will give you the necessary data for your special application (See Step 8. Transformer Selection). C. The ability to cool the seal while still under the force of the jaws is the main advantage of impulse sealing (PHASE 5). After turning off the energy, most of the excess heat is absorbed by the jaws. Cooling of the jaws is sometimes recommended so that they can absorb enough heat from the seal and the Heatseal Band quickly. Contrary to operating in the constant heat mode, good thermal conductivity between the sealing element and the jaws must be assured by using a relatively thin, thermally conductive, backup material behind the Heatseal Band. PHASE 1 Power is “off.” Jaws are “open” and the heatseal band is cooling from a previous cycle. PHASE 2 Power is “on.” Heatseal band temperature rises to the “set-point.” Jaws are closing. PHASE 3 Power output is controlled. Temperature remains at “set-point.” Jaws become completely closed. PHASE 4 Power output is controlled. Jaws are closed. Heat is being transferred into the material being sealed. PHASE 5 Power “off.” Heatseal band cools as remaining heat is drawn off into the mass of the jaws. Jaws remain closed. PHASE 6 Jaws are opening. Heatseal band continues to cool. Under certain conditions, sealing is also possible with the so-called Rest-Heat Mode. This is a variation on the impulse mode. In the Rest-Heat Mode the Heatseal Band must be sized to have sufficient mass so that the remaining heat in the band is calculated to be just enough for the sealing process. This means that in the timing sequence, the temperature drops in phase 4. The current is cut off when the jaws touch and the retained heat in the Heatseal Band is “unloaded” rapidly into the film which results in a shorter cooling phase and the shortest overall cycle time. For this method to be effective the thickness, therefore the mass, of the Heatseal Band must be great enough to hold the required total heat required to effect the desired seal. Occasionally, in spite of the high response of the controller, the first seal at startup may not be hot enough because there is not enough time for the Heatseal element to reach its pre-set temperature in the time allowed. This can be avoided by preheating the Heatseal Band to a moderate (80 ... 100°C) preheat before starting. This will help compensate for the first cycle. The temperature in subsequent cycles will never return to ambient because of the residual heat in the Heatseal element from the preceding cycle. To create a good seal, machines must be timed to allow enough time for the heating cycle to be effective and then allow enough time for adequate cooling before opening the jaws. Most automatic machines will operate at speeds that do not allow time for the Heatseal Band temperature to return to ambient temperature before the next sealing cycle. Therefore, for highest speed one needs to allow only enough time for the sealing temperature to recover from the residual temperature level that exists when the next cycle commences. If one sets the timing for optimum high speed operation, it is possible that there will not be sufficient time for the Heatseal Band to reach the set-point on the first cycle. In this situation one can proceed with the expectation that the first one or two seals may be sub-standard or alternately employ the preheat capability of the RES-Controller. By using the Preheat feature, one can set a minimum temperature level for the Heatseal Band that will be maintained when the machine is in operation. 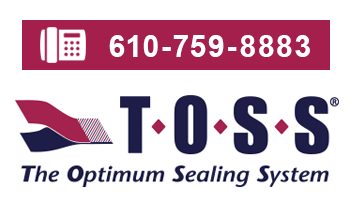 This minimum temperature threshold assures the ability to obtain perfect sealing the first seal and every seal, even when the allowable sealing and cooling times have been reduced to the bare minimum or when the machine is run intermittently.